Maybe we're at war with Norway? "No, I never kiss on first date." I was wonderin' when El Capitan was gonna get a chance to use his popgun. "Well, you definitely need to floss more I can tell you that..."
The years have not been kind to Craig T. Nelson. "You're right, Mr. 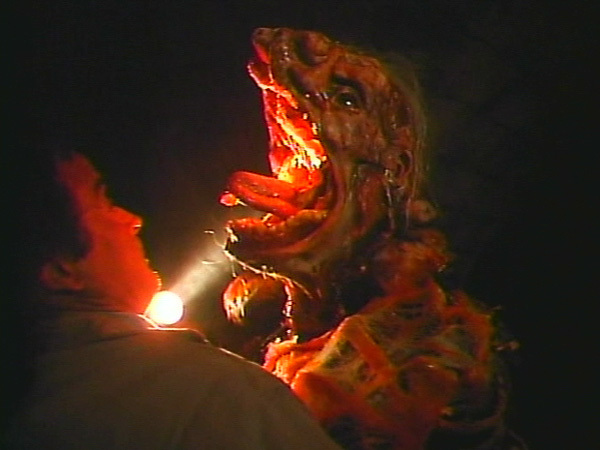 Creature, it looks like the hot pizza did cause second degree burns to the roof of your mouth. We definitely have a case against Domino's." "My, my, someone's feeling VERY ratty today!" Down doggie, down! Bad Dog! No Licking! I said "get down!" "This week on Wife Swap...."
NOW will you stop drinking out of the toilet bowl in the DNA lab!? It's not that I don't like you, but I NEVER kiss on the first date...sorry! He realized a bit too late that he had been feeding his parakeet nuclear tainted food. Oh My God!!! Its Joan Rivers!!! Seth Brundle, Dancing with the Star.